Another take on this popular breakfast! Made with Gluten free ingredients! 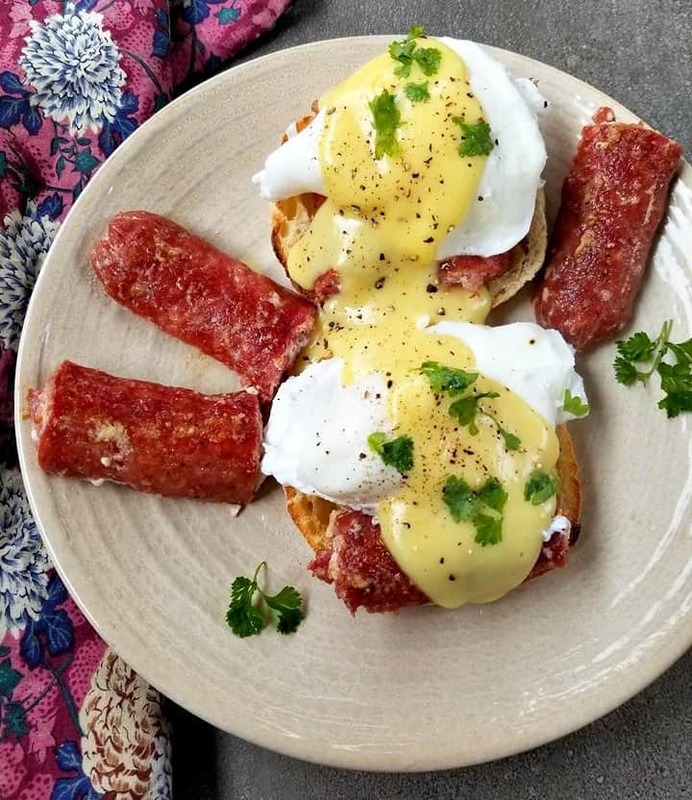 How do you make Eggs Benedict? Well it’s pretty easy trust me. 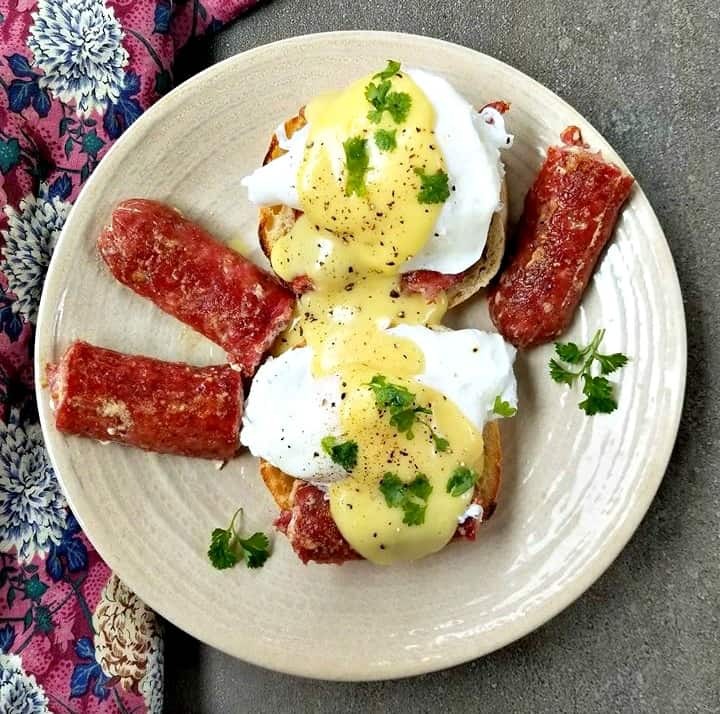 And this Farmers Sausage Eggs Benedict are no different than the original ones that uses ham. Also this recipe is 100% Gluten free since we are using Gluten Free English Muffins and a Gluten free hollandaise sauce. So if your on a gluten free diet then you can still enjoy this breakfast. 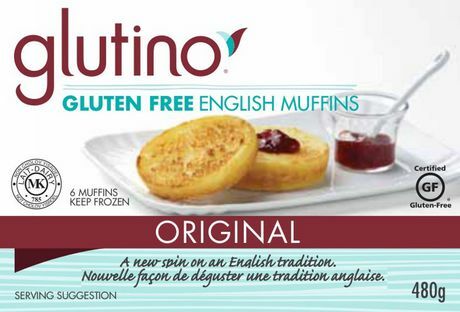 The brand of English Muffins I used, along with the Hollandaise sauce I used. 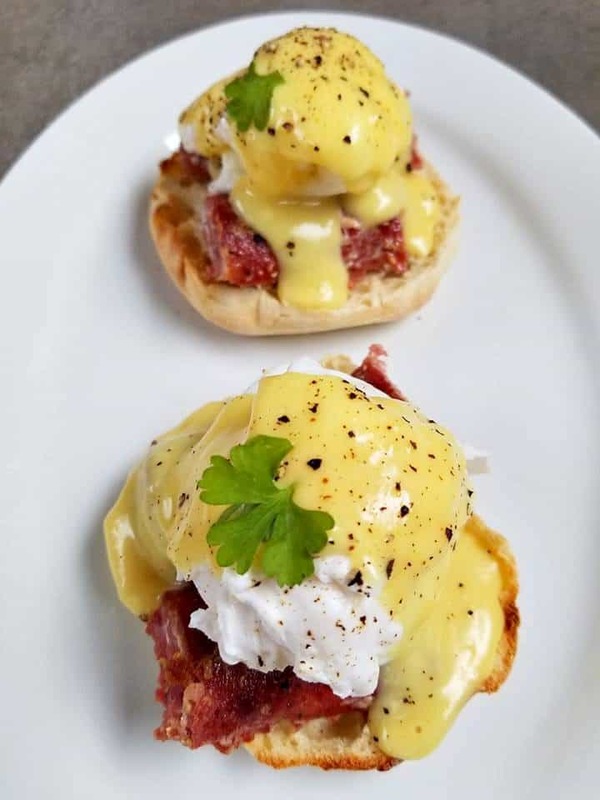 In order to make the best eggs benedict you will want to cook the eggs just right. And to do that you will simply add 2 tbsp of white vinegar to a medium pot of boiling water. And once it reaches a boil you will want to turn down the heat to medium – low. When it reaches a medium – low heat, simply crack one egg into a small ramekin boil. And slowly place it into the pot, repeat with a maximum of 3 eggs per pot. You do not want to overcrowd the eggs and allow them to cook at the bottom of the pot, once they reach a firm yet soft on the inside texture. REMOVE them with a spatula and strain over the sink. And wulla you have poached your eggs! 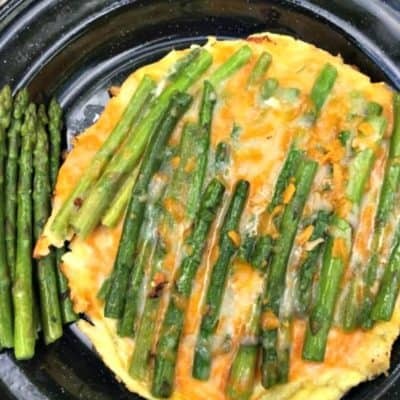 Those eggs are what you will use for this recipe. 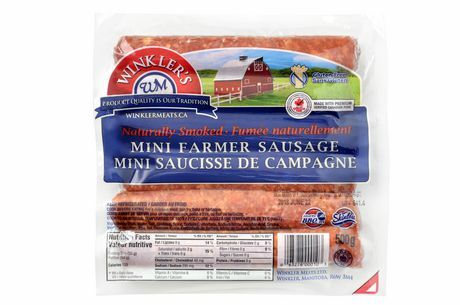 If your not to familiar with farmers sausage it’s probably because your not Canadian, now I may be biased here but we do have the best farmers sausage. It comes from a place called Winkler meats in Manitoba. It looks like this, if you have never tried it. You are definitely missing out! 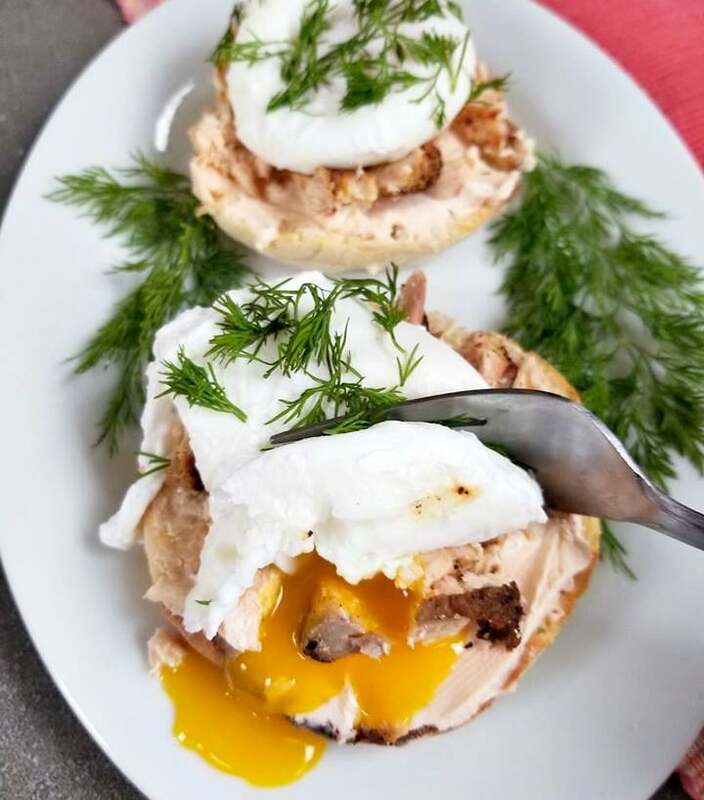 This recipe is not only inexpensive it’s also super simple to make, your sure to want to enjoy this breakfast time and time again. If you have never poached an egg, I promise you it’s not at all hard you can do it! 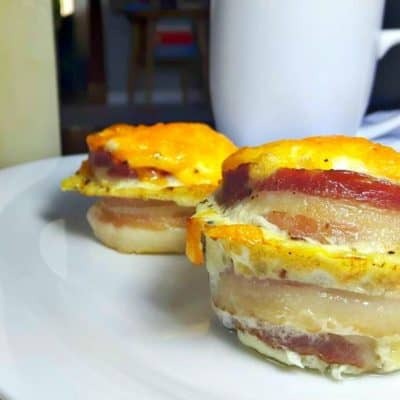 Looking for another GREAT Breakfast recipe? 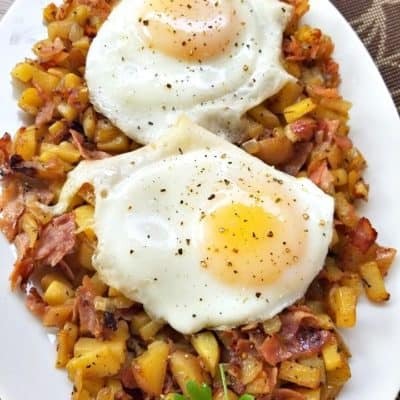 Check out my Black forest ham hash browns with eggs. Your gonna love this one too! 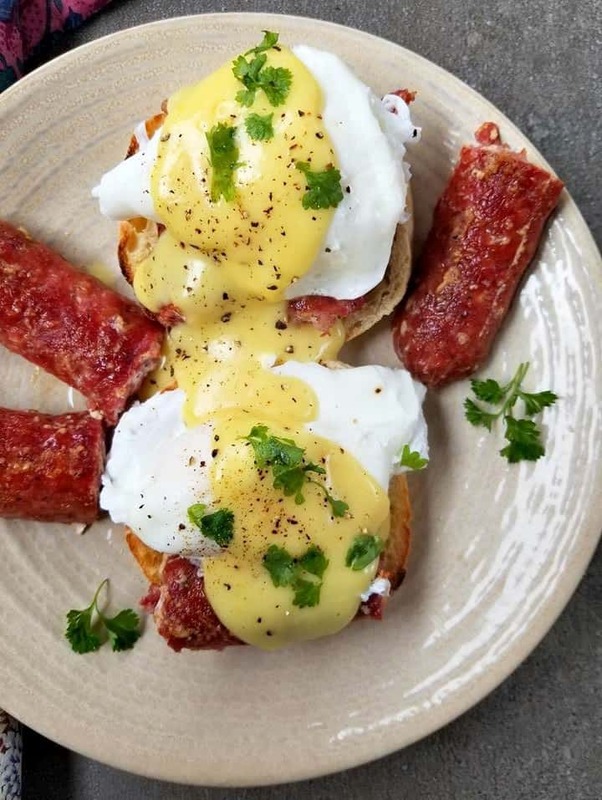 This Farmers Sausage Eggs Benedict are no different than the original ones that uses ham. Start by making the hollandaise sauce: In a medium stainless steel bowl place 2 egg yolks and whisk them along with the lemon juice. Once it thickens up nice, place the bowl over a small spot that has 1 cup of simmering hot water. Make sure the bowl bottom does not touch the water and continuing whisking, make sure the eggs to not scramble you just want to heat them thoroughly. Slowly add in the melted butter and whisk till hot and combined. Remove from the heat and stir in the cayenne along with a pinch of salt. Now slice and toast the english muffins and place them open faced on two plates. Next slice the meat and place them in a large frying pan, cook the farmer sausage according to package instructions and once it has cooked place it on top of the english muffins. In the same pot that you used to cook the sauce, pour more water and turn the heat up to high adding in 2 tbsp of vinegar. When the water reaches a medium – low heat, simply crack one egg into a small ramekin boil. And slowly place it into the pot, repeat with a maximum of 3 eggs per pot. You do not want to overcrowd the eggs and allow them to cook at the bottom of the pot, once they reach a firm yet soft on the inside texture. REMOVE them with a spatula and strain over the sink, then place each egg on top of the farmers sausage and pour over the hollandaise sauce. 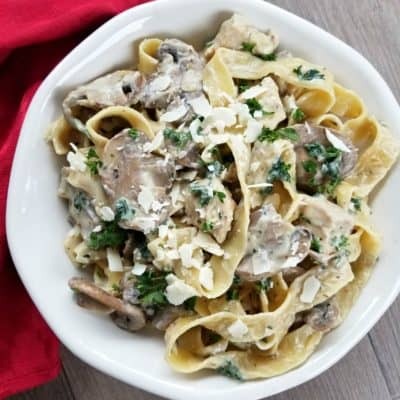 Top with parsley and season according to taste, enjoy! Hi, my name is Jacqueline. I'm so happy you have stopped by! 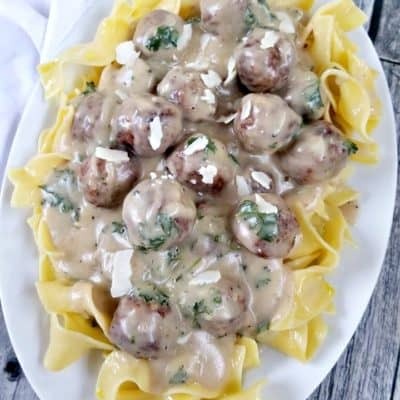 Here on Canadian Cooking Adventures®, you will see that you don't have to be a Chef to make good food. With my easy step - by - step instructions, you too can master just about any dish. 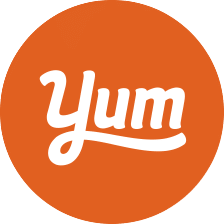 I hope you find your time here inspiring, educational and delicious!